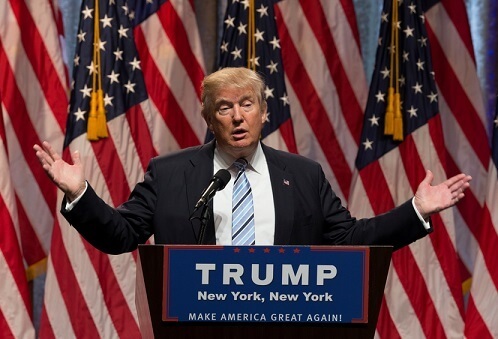 Donald Trump’s shocking upset in the U.S. presidential elections will certainly make waves in the Canadian real estate sector in the near future, although the full economic impact of the mogul’s victory remains to be seen. “This continued low-rate environment won’t stop the slight uptick in mortgage rates, caused by the recent Federal Liberal mortgage rule changes. However, it may prompt different levels of government to consider alternative methods for cooling heated housing markets,” King said. Meanwhile, Canadians who are contemplating selling their homes might be in for some great times ahead. “Some [Americans] may be so fed-up that they decide to head north,” Royal LePage CEO Phil Soper said. Such an influx would benefit urban home owners the most, considering the stronger purchasing power of the greenback compared to the Canadian dollar. “Home sellers in Vancouver, however, shouldn’t expect a big uptick in American interest, as the Foreign Buyer’s tax that was announced and introduced this past August, will probably dampen interest in property in the Lower Mainland,” King cautioned. Most importantly, Trump’s apparent preference for an isolationist economic policy that would “tear-up NAFTA” and slap huge taxes on imports originating from China could prove disastrous to Canada.